New inspirations and ideas brewing. I've said before that I like winter. The linear quality of bare branches. The subtle range of winter greys. The way everything is exposed and reduced to essentials. One walk this weekend was initially really unpromising. Poor light, a cold wind and rain showers made photography difficult. 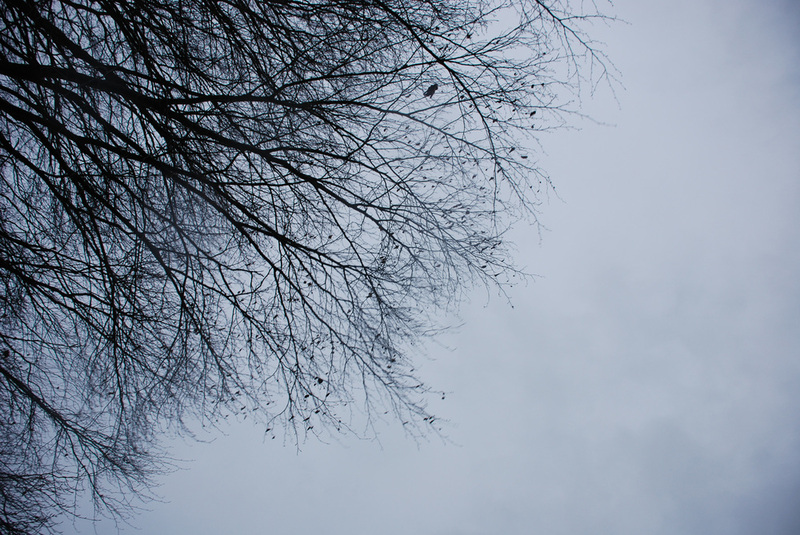 But then I started focusing on the graphic qualities of the bare trees against the flat grey sky and I was away. I became interested in the different branch patterns, the edge of the tree line and the negative spaces. On a different walk (with slightly better weather) the best part came towards dusk when we passed a lake. 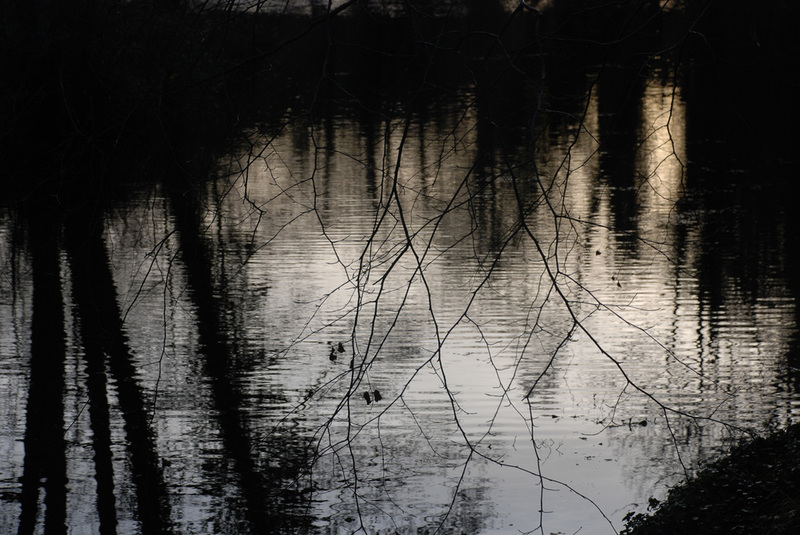 I loved the way the tree reflections were exaggerated and broken by the water. Even as I was taking all these photographs, I was thinking about drawings - abstract, monochrome ones. I said this was prompting new ideas but in practice I was making connections to some old ones too. But then isn't that always how it is? I shall be spending most of Christmas stitching new work. But I think some drawing might provide a useful contrast to this.